With school back in session in most of the country, many parents are likely thinking about how best to prepare for their children’s future college expenses. Now is a good time to sharpen your pencil for a few important lessons to help tackle the issue so you're prepared when heading back into the investing classroom. According to recent data published by the College Board, the annual cost of attending college in the US in 2017–2018 averaged $20,770 at public schools, plus an additional $15,650 if one is attending from out of state. At private schools, tuition and fees averaged $46,950. If you have kids, you've probably seen - been startled by - these averages. Such large sums can seem overwhelming even if you've already started setting money aside for this goal, and those feelings can be magnified by the number of years you're planning for as well as the number of kids you're planning for. Source: The College Board, "Trends in College Pricing 2017." While we do not know what inflation will be in the future, we should expect that the amount of goods and services $1 can purchase will decline over time. Going forward, we also do not know what the cost of attending college will be. But again, we should expect that education costs will likely be higher in the future than they are today. So, what can you do to prepare for the costs of a college education? How can you plan for and make progress toward affording those costs? To help reduce the expected costs of funding future college expenses, you may invest in assets that are expected to grow their savings at a rate of return that outpaces inflation. By doing this, college expenses may ultimately be funded with fewer dollars saved. Because these higher rates of return come with the risk of capital loss, this approach should make use of a robust risk management framework. Additionally, by using a tax-deferred savings vehicle, such as a 529 plan, you may not pay taxes on the growth of these savings, which can help lower the cost of funding future college expenses. Working with a trusted advisor who has a transparent approach based on sound investment principles, consistency, and trust may be the best way to help you identify an appropriate risk management strategy. Such an approach can limit unpleasant (and often costly) surprises and ultimately may contribute to better investment outcomes. A key part of maintaining this discipline throughout the investing process is starting with a well-defined investment goal. This allows for investment instruments to be selected that can reduce uncertainty with respect to that goal. When saving for college, risk management assets (e.g., bonds) can help reduce the uncertainty of the level of college expenses a portfolio can support by enrollment time. These types of investments may help to tune out short‑term noise and bring more clarity to your overall investment process. As your kids get closer to college age, the right balance of assets is likely to shift from high expected return growth assets to risk management assets. Diversification is also a key part of an overall risk management strategy for education planning. Nobel laureate Merton Miller used to say, “Diversification is your buddy.” Combined with a long-term approach, broad diversification is essential for risk management. 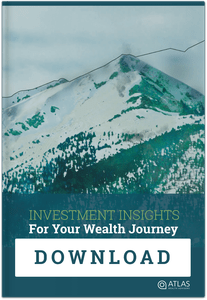 By diversifying an investment portfolio, you can help reduce the impact of any one company or market segment negatively impacting your wealth. Additionally, diversification helps take the guesswork out of investing. Trying to pick the best performing investment every year is a guessing game. We believe that by holding a broadly diversified portfolio, you are better positioned to capture returns wherever those returns occur. Higher education may come with a high and increasing price tag, so it makes sense to plan well in advance. There are many unknowns involved in education planning, and no “one-size-fits-all” approach can solve the problem. By having a disciplined approach toward saving and investing, however, you can remove some of the uncertainty from the process. A trusted advisor can help parents craft a plan to address your family’s higher education goals. All expressions of opinion are subject to change. This information is intended for educational purposes, and it is not to be construed as an offer, solicitation, recommendation, or endorsement of any particular security, products, or services. Diversification does not eliminate the risk of market loss. Investment risks include loss of principal and fluctuating value. There is no guarantee an investing strategy will be successful. Past performance is not a guarantee of future results. Indices are not available for direct investment; therefore, their performance does not reflect the expenses associated with the management of an actual portfolio. The S&P data is provided by Standard & Poor’s Index Services Group.